Getting married soon? Using proper wedding etiquette will, believe it or not, make your day one to remember. There are so many rules involved in planning a wedding, it is easy to get caught up in all of it and lose out on what is special about your wedding. Now that I am a little older and somewhat wiser, I would do things so much differently. I realize that there are so many levels of proper wedding etiquette. I do not want anyone else to make the same mistakes that I made, so I am offering proper wedding etiquette advice. Please understand that it is virtually impossible to make everyone happy all of the time, however there are ways to plan and pull off your wedding without being a bridezilla. Mother of the bride etiquette will show you mothers how to share in your daughter's special day and take some of the planning stress off of her shoulders. Formal wedding etiquette will be different from destination wedding etiquette. Where you would like to be married will also determine the etiquette that is used. A church wedding calls for more formal wedding manners than one performed in a park under a gazebo. When it comes to proper wedding invitation etiquette, that is where you want to show your manners. Save the date etiquette will let your guests know that you would like them to join you. There are so many things that go into the writing, delivery and the RSVP. Take a look at the wedding rsvp etiquette ideas. Don’t forget the rings either… literally. There is ring finger etiquette, as well as wedding ring etiquette that come into play before and on that day. Believe it or not there is wedding party etiquette. It is good for the bridesmaids and groomsmen to know what duties they will have. It is so nice when they have good manners, act appropriately and show proper wedding etiquette with the people you truly want to share your day with. Another important detail is to pay attention to your wedding program etiquette. Now bridesmaids, you need to be aware of bridal shower etiquette. Making the bride feel taken care of before her day will help ease her stress and help her to remember that she really is excited for her special day. There is a lot for you to do in this category. There is also bridal shower gift etiquette tips for both the bride and her guests. You'll find free sample speeches for all occasions and timeless free wedding speeches ... they are easily adapted and personalized - find the right words every time. You also want to have the perfect dress. Find your dream wedding gown with unique-wedding-dresses. They make it simple, fun, and easy to find "the dress." On that day, when the flowers arrive, many have asked the time-old question, “How do I pin this corsage on?” There is indeed corsage etiquette that shows how to indeed pin the corsage on without drawing blood in the process. Do you need ideas for your wedding day? Check out Wedding Flower Ideas For beautiful bridal bouquets and wedding flower ideas. Wedding guest etiquette is vital as well. No one wants to be “that guest” that makes everyone feel awkward by showing up late, forgetting a gift and saying inappropriate things. Wedding dance etiquette is also a good way to be a good guest. Being reverent and attentive while the wedding verses are being read is always a good show of proper wedding manners. Giving a wedding gift can also be done with class no matter how much or how little it costs. 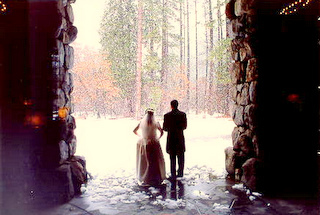 The bride and groom love to be celebrated as they start their journey. Giving an appropriate gift can help them on their way. That is why we have also included wedding gifts etiquette. Are you looking for some unique wedding day ideas? There are free tips and ideas to make your day one to remember! Or are you looking for the best wedding plan? If so, our friends at Best Wedding Plan have the best ideas just for you. So lets start this journey off on the right foot (there will be plenty of left feet on the dance floor). How you treat those who will help you plan and celebrate your wedding with you will largely determine the day you are having…. Let’s make it a day to remember. Need help with your Wedding Reception Planning? You'll find an online guide to help you plan for your wedding and wedding reception. This site not only provides information, tips and advice to plan your wedding and reception but also requests audience participation with surveys and special invitations to voice opinions and bridal plans and problems.